A slate of projects related to ACQUIRE's Akiba's Trip games were announced at this week's Tokyo Game Show that included DMM's "real-time strip action" Akiba's Trip Festa for Android and browsers and Akiba's Trip The Animation, a Gonzo produced TV anime heading to Tokyo MX, BS Juji and AT-X starting in January 2017. Seiyu's Life! director Hiroshi Ikehata helms the TV anime with Kazuho Hyoda (Himegoto, Wanna Be the Strongest In the World) writing composition and Hajime Mitsuda (Witchcraft Works, Wixoss openings) on character design. This suburban Tokyo ward's seen it all, from Japan's post-war reconstruction to the economic crisis of the bubblegum '80s. Always on the cutting edge of progress, with a little something to offer even the most fetishistic of appetites, it was almost inevitable that this singular indulgence of technocracy would give birth to a whole new kind of appetite altogether. Enter, the "Synthisters" - vampires who prey upon the life energy of the town's unsuspecting figurine-chasers, maid café connoisseurs and cosplayers. Those victimized by Synthisters take on the properties of their attackers while also withdrawing from society and becoming a veritable shut-ins due to their newfound fatal weakness to sunlight. 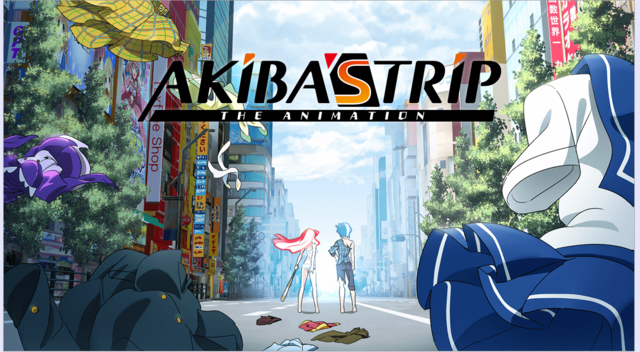 AKIBA'S TRIP tells the story of one such unfortunate soul: a young man named Nanashi who was lured into a trap by the promise of rare character goods and transformed into one of the walking undead. He, however, was spared the worst of his fate by the bloody kiss of a mysterious hunter Synthister named Shizuku. 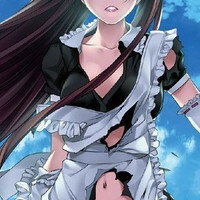 Together with the rest of his companions in an organization unofficially dubbed the "Akiba Freedom Fighters," Nanashi and Shizuku must uncover the truth behind the plague and save Synthister Akiba from being overrun by violent, antisocial energy vampires. Promo material for Festa brings back Sachika Misawa's Shizuku Tokikaze, Chiwa Saito's Tohko Sagisaka, Hisako Kanemoto's Rin Tokikaze, Aya Suzaki's Nana, and Eriko Nakamura's Shion Kasuga, joined by Shonen Maid lead Natsumi Fujiwara.